Serbia - All Leagues Megapack SS'2018/19 by Serbian FM & Co New! England - English Leagues Level 7 SS'2018/19 by bolid74 New! England - English Leagues Level 7 SS'2018/19 by bolid74 Relink! Spain - Segunda B G1 SS'2018/19 by shooto New! Spain - Segunda B G2 SS'2018/19 by shooto New! Spain - Segunda B G3 SS'2018/19 by shooto New! Spain - Segunda B G4 SS'2018/19 by shooto New! Austria - 2.Liga SS'2018/19 by schweigi New! Austria - Bundesliga SS'2018/19 by schweigi Relink! Southern central league is now available, level 7 is now complete with all 4 leagues. P.S. In the Database there are no such commands as FC "Gvardeets" Skvortsovo and PFC "Incomsport" Yalta, the IDs of these clubs are not registered in the config file. England - Premier League, Championship, League 1 & 2, National, North & South Leve1 1-6 SS'2018/19 by bold74 Relink! Ukraine - Premier League SS'2018-19 by Jay_Jay_Max New! Greece - Superleague SS'2018-19 by Mysterio New! 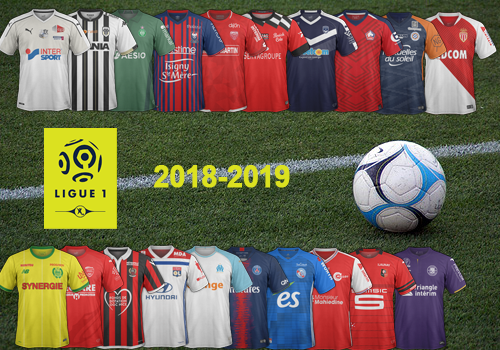 Crimea - Premier League SS'2018-19 by Jay_Jay_Max New! Spain - Liga Santander SS'2018/19 by shooto Relink! Spain - Liga 1-2-3 SS'2018/19 by shooto Relink! Argentina - Superliga SS'2018-19 by miguel432 New! Finnish premier league pack is finally here! Reupload Serbian megapack to some normal site without obligation to register, please. Can´t download the kits. The link doesn´t work. When you go to link, you need to press top right corner where is download icon. Possible add HD format ? What do you mean for HD format ( dimension and risolution)?